Are you looking for Italian style wines in Central Coast Wine Country? Then try out our Italian Varietals Tasting Trail to explore some classic Italian wines. These are wines made from varieties of grapes native to Italy and are essential to carrying on the tradition of authentic Italian style wines. From the traditional Sangiovese, Montepulciano and Lagrein to the more common Viognier and Zinfandel, Italian varietals offer a unique style of old-world wines to our modern landscape. 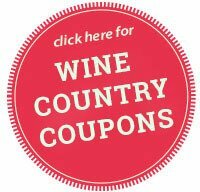 Checkout our list of wineries specializing in Italian Varietals below or on the go with our mobile website.